Although it is not wise to look past any game, it is understandable if most fans look past this matchup. The Seahawks host the Jacksonville Jaguars this week in a matchup that features the largest point spread in an NFL game since the New England Patriots played the Miami Dolphins in December 2007. After Seattle’s 29-3 victory over San Francisco last week, the Seahawks are 2-0 and have sole possession of first place in the NFC West. The Jacksonville Jaguars are 0-2 and are coming off a sloppy 19-9 loss to the Oakland Raiders. The Seahawks hold the all-time advantage over the Jaguars with a 4-2 record. In their last meeting in 2009, arguably the worst season of Seahawks football I have witnessed, the Seahawks defeated Jacksonville 41-0. With this game viewed as a guaranteed win by the majority of experts and fans, here are some things to watch that are crucial in order to avoid one of the biggest upsets in NFL history. With Russell Okung out this week, it is extremely important to make sure Russell Wilson stays healthy because pass protection could be a weakness. It has been announced that Paul McQuistan will start at left tackle for Okung this week. Taking McQuistan’s spot at left guard will be James Carpenter. I personally do not agree with the personnel along the offensive line this week because I am a strong believer that shifting players to different positions interrupts continuity. If it was my decision, I would keep McQuistan at guard and start rookie Alvin Bailey at left tackle. Nevertheless, the number one key on offense this week will be to stretch the field and score touchdowns while keeping Russell Wilson on his feet. Last week against San Francisco Wilson struggled to get the passing game going early. The best case scenario is for the Seahawks starting offense to play into the third quarter, build a three or four score lead, and pull the starters before further opportunities for them to potentially get hurt arise. Against a putrid Jacksonville defense this should not be a problem in my eyes. Also along the offensive line I am hoping the Seahawks have made great strides in trying to eliminate holding penalties, a big negative of our offense last week. Eliminating offensive penalties will allow us to score faster, and thus get the starters out of the game sooner. I think we will see a diverse distribution of passes from Russell Wilson this week. My receivers to keep an eye on this week are Jermaine Kearse and Stephen Williams. I expect these two guys to see extended snaps this week because of the possibility of the starters being rested in the second half. Kearse and Williams both did not record a catch last week and the offense got off to a shaky start. By lining Kearse and Williams up and expanding the play calling, the Seahawks may be able to make more of an offensive statement early this week. 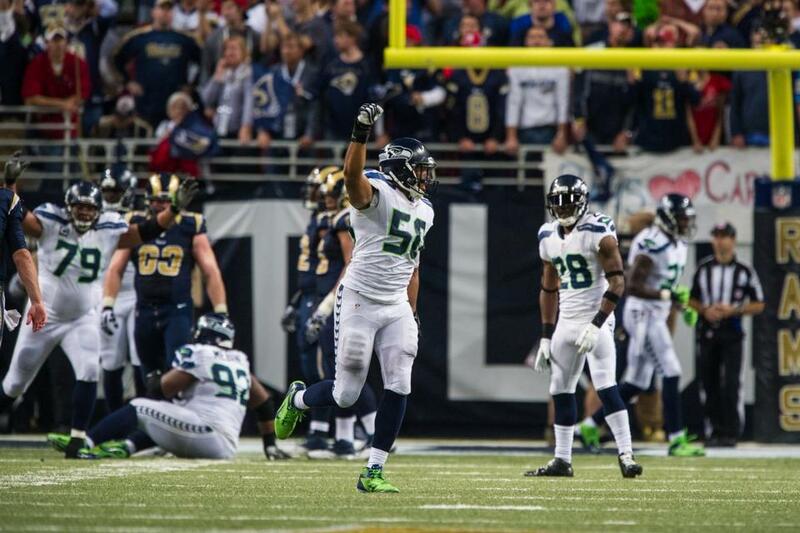 Last week the Seahawks defense held the 49ers to 3 points even without Chris Clemons and Brandon Browner. This week I expect to see more of the same against the 32nd ranked offense in the NFL. Browner has been practicing this week but will be a game time decision. In a surprising move to me, Chris Clemons will make his season debut this week. 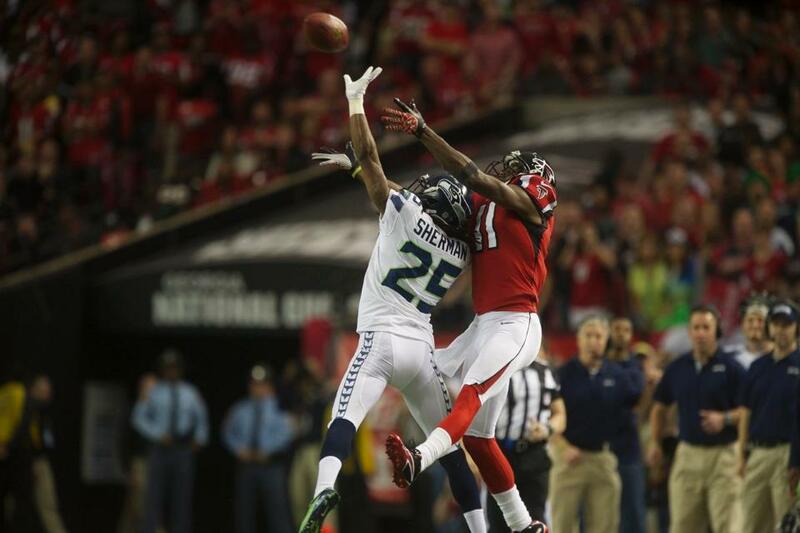 The highlighted matchup this week will be Richard Sherman vs. Jaguars receiver Cecil Shorts. Sherman held Anquan Boldin to only one catch last week even though that catch did not come while Sherman was defending him. Shorts is the only noteworthy weapon on the outside for Jacksonville so do not be surprised if the Jaguars cannot get anything going in the passing game. Michael Bennett and Cliff Avril were effective rushing the passer last week so I am not overly worried about our pass rush this week, especially at home. My primary defensive focus this week is in the linebacker corps. Through week 2, Bobby Wagner is averaging 7.5 tackles per game, K.J. Wright is averaging 5 tackles per game, and Malcolm Smith is averaging 2.5 tackles per game. I would love to see Smith make an impact early in the game. Jaguars quarterback Chad Henne likes to throw short passes to his checkdown receivers in the middle of the field so this is a prime opportunity for the linebackers to boost their stats. A 6-8 tackle game from each of our linebackers is a prime target range this week. Our defense will be very successful if Wagner, Wright, and Smith can record tackles in this range. Where do I start with the Jacksonville Jaguars? Their offense is averaging 5 points per game while the defense is allowing an average of 23.5 points per game. Jacksonville has not played an opponent that is considered a playoff contender so far this season. With this game being played in Seattle, it could be another long game for the road team. On offense the Jaguars may be without three of their best players. Quarterback Blaine Gabbert is recovering from a hand laceration and will not start this week. Chad Henne will start at quarterback. Running back Maurice Jones-Drew injured his foot against Oakland last week and has not practiced this week. I would be very surprised if Jones-Drew plays against the Seahawks. Jordan Todman and Justin Forsett would take Jones-Drew’s carries if he cannot go this week. Wide receiver Justin Blackmon is serving a suspension for violating the league’s substance abuse policy. With Blackmon out, Cecil Shorts and Ace Sanders will be Jacksonville’s starting wide receivers. On defense there is only one player I put a spotlight on this week. Defensive end Jason Babin recorded 18 sacks with Philadelphia just two seasons ago. So far this season he only has one sack. Babin is by far the Jaguars best pass rusher and could make an impact with a weaker Seahawks offensive line. It may be wise for Paul McQuistan and James Carpenter to double team Babin on passing downs if he is initially effective getting to Russell Wilson. If there is one thing to take from the Jacksonville Jaguars it is this. Head coach Gus Bradley was the defensive coordinator with the Seahawks last season. When you coach your own players and leave for other opportunities like Bradley did, your now former players possibly become available later on down the road. The Jaguars have three defensive players on their active roster that spent training camp with the Seahawks this season; players that were cut during final roster cuts at the end of August. There is no question that Bradley and Jaguars defensive coordinator Bob Babich will be picking the brains of cornerback Will Blackmon, safety Winston Guy, and linebacker Kyle Knox for information about the Seahawks defensive packages. I do not think the Jaguars will have a significant advantage based on the information these three guys provide but you may see better adjustments than other teams would make if the Jaguars defense struggles to stop the Seahawks offense. Random Thoughts: The Seahawks will wear blue jerseys and blue pants again this week at home… Hopefully the weather will be nicer this week although the forecasts aren’t looking too promising. It’s looking like another overcast day in the low 60’s on Sunday… The referee this week is Bill Vinovich. Vinovich was the referee for the Seahawks week 16 game against San Francisco last year… Bill Macatee and Steve Tasker have the call for CBS this week. I know nothing about how good their broadcasts are… Sunday is my Dad’s birthday which will be special. I’ve never taken him to a Seahawks game on his birthday… I’m excited to get to know the people sitting next to me even better this week. Since I let my dad take my aisle seat when I take him, I’ll be next to the new season ticket holders to my left… The group next to me consists of two guys and two girls. The girl that was sitting closest to us last week was really cute, really nice, and very knowledgeable about football. 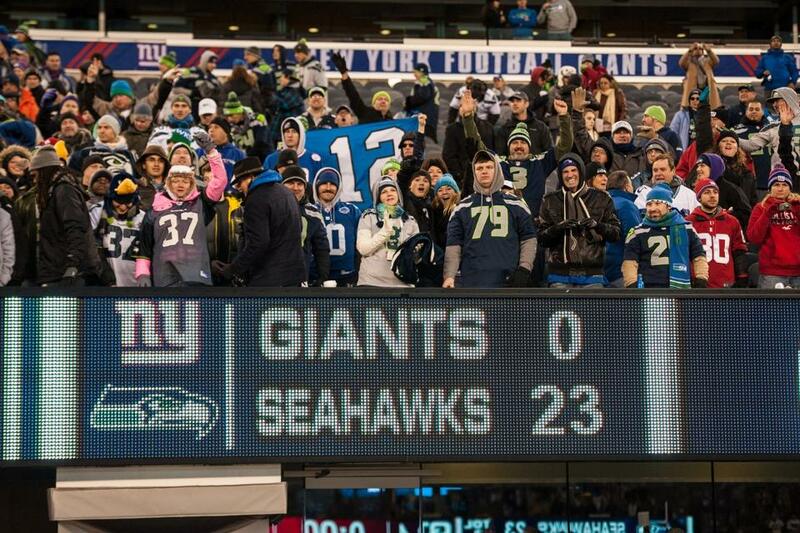 Sounds like she meets my qualifications wouldn’t you say?… I hope the 12th Man can get the noise up high again this week. I remember playing St. Louis last year the week after hosting the 49ers on Sunday Night Football and the noise was nowhere near the level it was at the previous week. I know it’s the Jaguars but let’s make it just as loud for them as it was for San Francisco last week… One thing I forgot to mention in my 49ers review that I wanted to share. One of the coolest things I saw last week was on the big screen after the game. 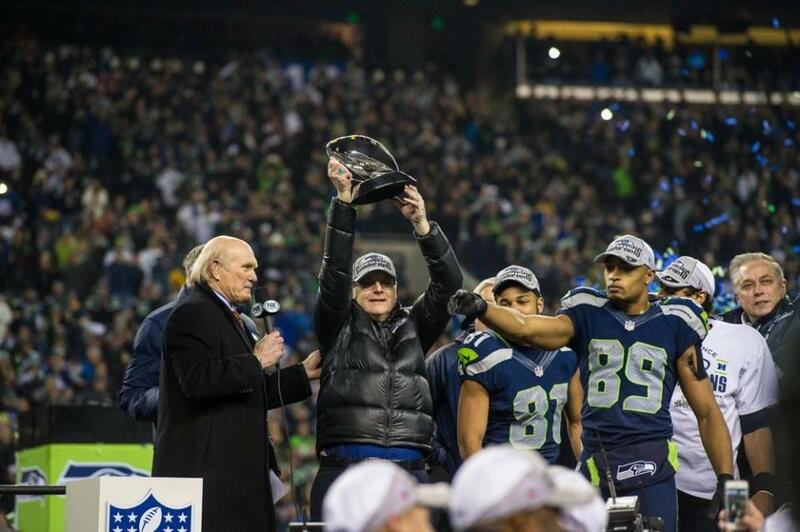 The Seahawks locker room camera showed owner Paul Allen exchange handshakes and hugs with the Seahawks players one by one as they re-entered the locker room following the game. That was really cool to see the connections and relationships between the players and the owner… I might have to bring a lot of Skittles this week. Against a weak Jaguars defense, Marshawn Lynch is primed to put up big numbers… The Seahawks haven’t started a season 3-0 since 2006. They won the NFC West that year. Prediction: Russell Wilson will be done by the middle of the third quarter. The offense will get into a strong groove that they hope will be a solid tune-up for Houston in week 4. Marshawn Lynch will run for two touchdowns and Sidney Rice, Golden Tate, and Jermaine Kearse will all catch touchdown passes. The defense will sack Chad Henne 6 times and Richard Sherman will record his second interception of the season. If the San Francisco 49ers could only score 3 points against our defense last week, how on Earth could you think the Jaguars will score any points at all? 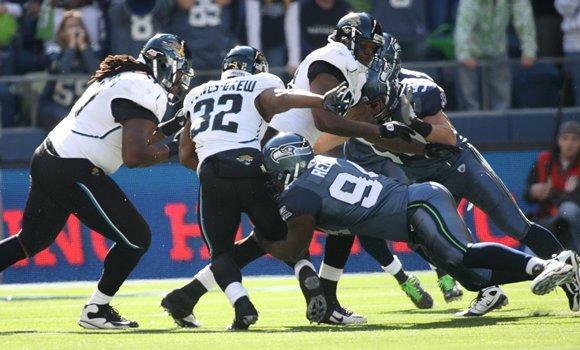 The Seahawks beat the Jaguars 41-0 the last time they met. The scoreboard will mirror the scoreboard from 4 seasons ago. That’s right. For the first time ever, I am predicting a shutout. I cannot promise my game review will be done by Sunday night, but I am not totally eliminating the chances. If not Sunday night, check back for my game review on Monday morning. 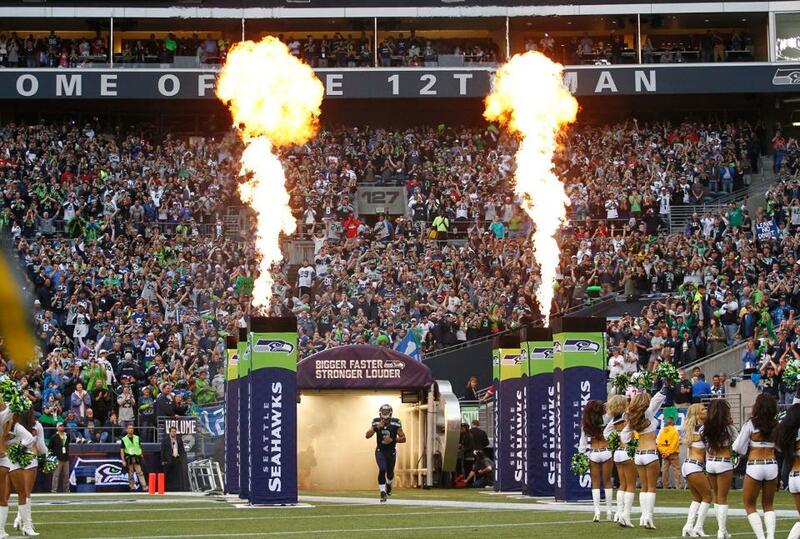 Let’s go Seahawks! There are many parts of the offensive line that are worth noting as the Seahawks get ready to start training camp. The starting unit returns two pro bowlers in Russell Okung and Max Unger. The Seahawks also drafted three offensive linemen this year in Ryan Seymour, Jared Smith, and Michael Bowie. Here are a couple things I will be looking for from the offensive line during training camp. The most important thing to keep an eye on is who will line up with the starting offense. Last year the Seahawks flip-flopped often at right guard between John Moffitt and J.R. Sweezy. This year it is crucial for the Seahawks to solidify their starters before breaking camp at the end of August. The health of James Carpenter also adds a wrinkle into the plans of the starting offensive line. 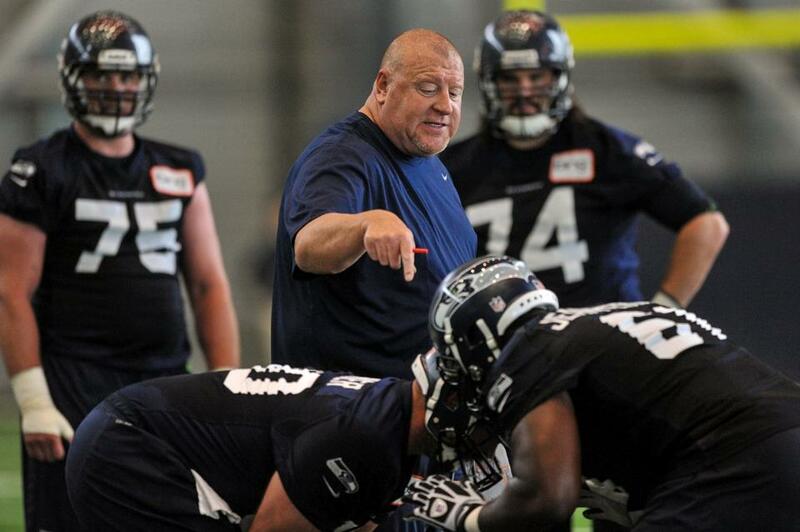 Offensive line coach Tom Cable was interviewed on 950 KJR during OTA’s and he stated that the current starting line consisted of Okung, Carpenter, Unger, Sweezy, and Giacomini from left to right. If Carpenter is going to start at left guard, it makes me less worried about the depth we have. I believe Paul McQuistan is one of the more underrated lineman on the Seahawks roster. If he is going to be benched in favor of Carpenter, we now have McQuistan and Moffitt, two proven starters, as backups in the event our starters get hurt. After that however, we are significantly thinner from a talent perspective. Lemuel Jeanpierre is the only other offensive lineman with starting experience in Seattle and time will tell how the three drafted rookies as well as Mike Person, Alvin Bailey, Rishaw Johnson, and Jake Bscherer will fit during training camp. I expect to see the rookies get more playing time during the preseason than any other rookies on the roster. It is unclear at this point where these players stack up on the depth chart. There will be a handful of offensive lineman who will not make it past final roster cuts so the reps that they see in practice will be vital in shaping their status on the team. One last thing I will have my eye on is the health of this position group. Last year for the most part, our entire offensive line stayed healthy. This was one of the primary reasons to our overall continuity and how we were able to go 11-5 and make the playoffs. Injuries along the offensive line will destroy your chances to win. It will be crucial for every lineman to make out of each practice and each preseason game healthy or else the Seahawks will struggle once the regular season rolls around. Check back tomorrow as I will preview the Seahawks running backs!